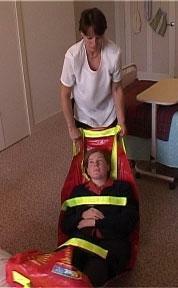 The Original AlbacMat: Since 2002 The AlbacMat™ enables the safe and effective evacuation of injured or frail people. The AlbacMat Emergency Rescue Mat has been designed with Safety, for both the rescuer and patient being of paramount importance. First designed in 2002 for the Aged Care/Hospital markets, the AlbacMat Rescue Mat is widening its market appeal to include Defence, Emergency Services and Mining industries. Other markets are continually opening up. “Each person I speak to has another place where the AlbacMat can be used to aid in the movement of injured people…the possibilities are endless,” says Allison. Simply, the AlbacMat is an Emergency rescue mat designed to slide over all types of surfaces. 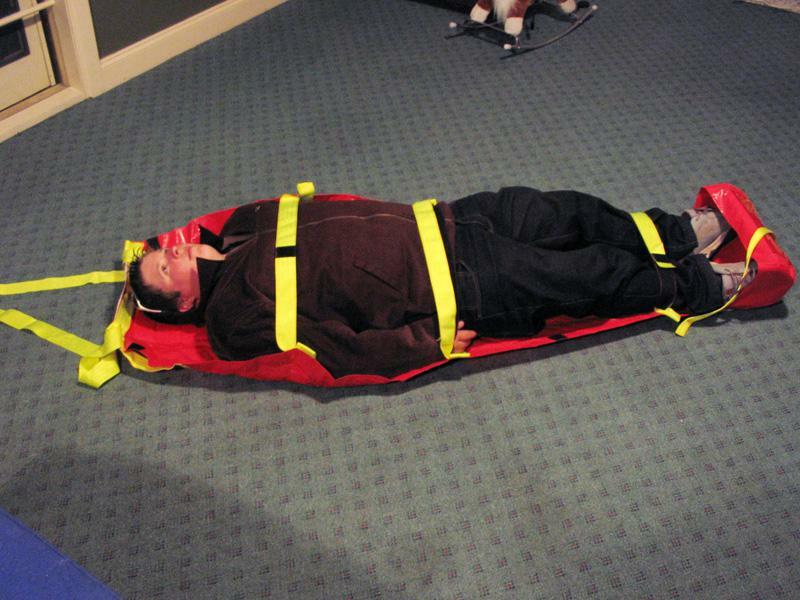 It is a stretcher like design, with polypropylene filling that when in storage is half the size of a rolled up sleeping bag. Constructed with heat-resistant material it is moved by a rescuer – enabling rescues to be performed as fast as physically possible. The AlbacMat has been designed with Safety, for both the rescuer and patient being of paramount importance. The ability of the AlbacMat to travel easily over most surfaces - including stairs, carpet and concrete - allows for improved efficiency when evacuating a facility. 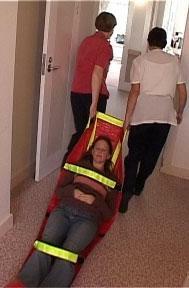 Evacuations can be performed by one person per patient in most situations which is essential when time is critical. The AlbacMat is totally independent of its environment. It does not matter where the patient may be - in bed, the bathroom or the corridor, they can still be placed onto the AlbacMat and taken to safety. Its compact, self-storage and lightweight design means it can be readily available in varying locations for instant usage. The AlbacMat is constructed from customised materials - including polypropylene board and a lightweight canvas material. These materials have been extensively tested in all types of situations (including strength, flame and heat conducted by CSIRO). The AlbacMat is manufactured to Australian Standards 2755 and has the CE mark (Class I). The polypropylene board acts as an insulator to the patient and air pockets provide ‘cushioning’ for stairs or in the event of rough terrain. It also enables the AlbacMat to 'glide' over all types of surfaces. This includes carpet and vinyl, as well as concrete, bitumen and grass, making it simple and easy for rescuers while being comfortable for the patient. I am the OHS Manager at Brunswick Private Hospital and in view of the findings of the fire at the Quakers Hill Nursing Home on 18 November 2011 I decided to research the methods and equipment used of urgent removal of non-ambulant patients in our hospital. One of the findings from the incident was, “That facilities include in their fire and emergency training regular scenario-based practical training including practice of the urgent removal of non-ambulant patients and residents”. 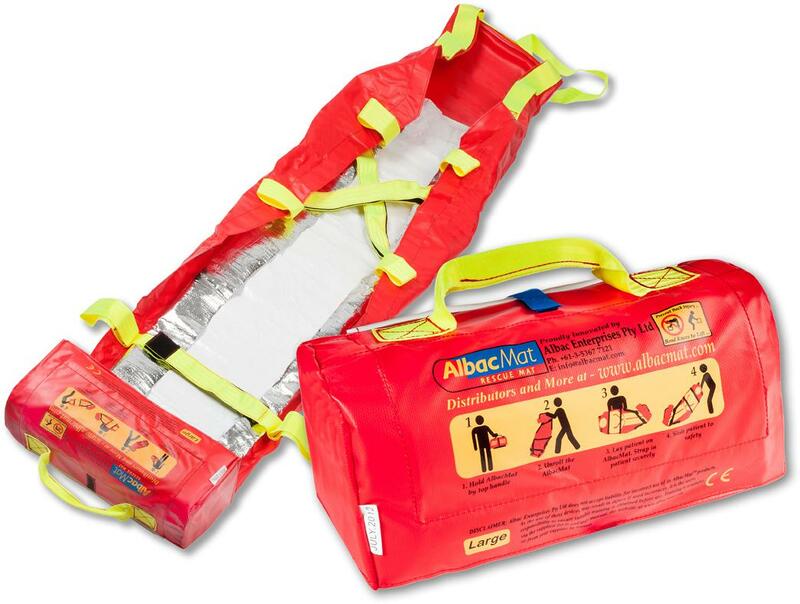 During my search, I found the Albac Mat rescue mat and I felt it would met our needs in providing appropriate equipment to assist in the evacuation of any non-ambulant patients. 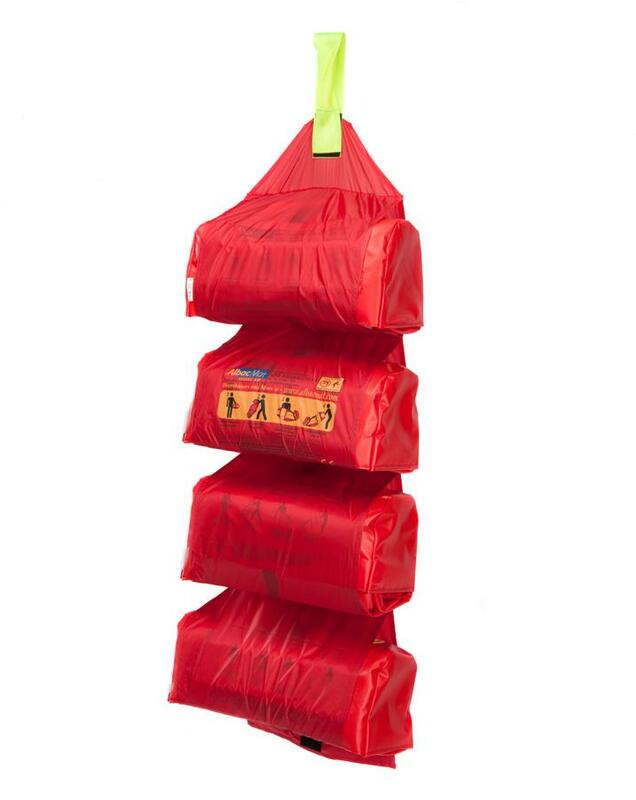 After a demonstration of its use, we decided to purchase several mats and are an integral part of our Fire and Evacuation & Manual Handling training. 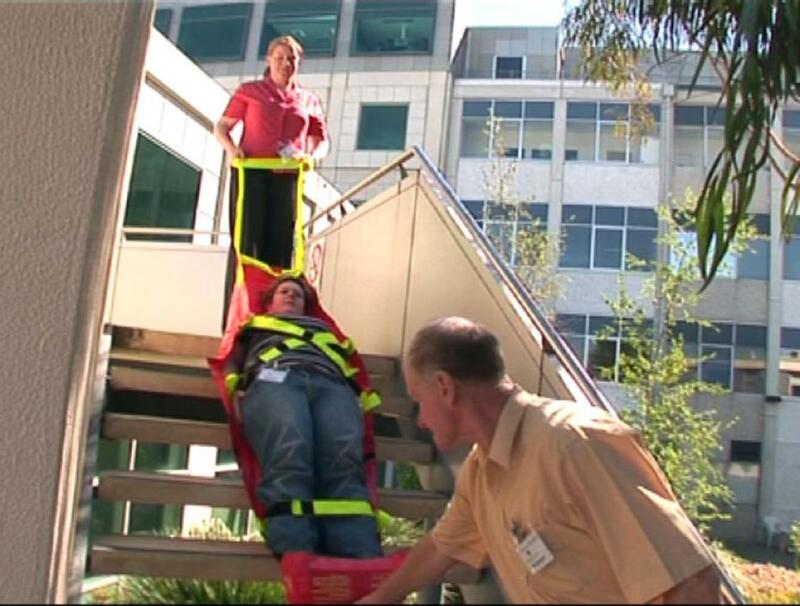 We have found that the Albac Mat simple to use and believe that training our staff of its use, will reduce panic in an emergency situation and assist with the safe evacuation of our patients. 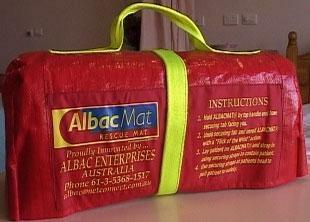 We have now introduced the Albac Mat into all our 6 Victorian Private Hospitals and endoscopy/day surgery centres. 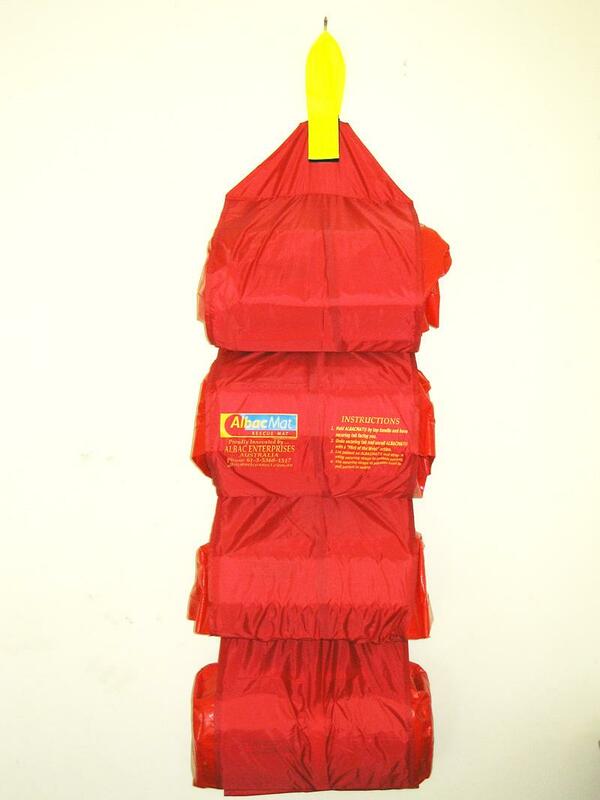 AlbacMat worked closely with us to develop a rescue mat that was suitable for our pilot launch operations. We had to overcome the issues of dragging the patient over the rough deck surface and then lifting them into the cabin of the launch. In addition, to ensure absolute safety of the patient the AlbacMat’ s fittings were redesigned so that it could be clipped onto the lanyard that runs along the safety rail system of the launch. Allison worked really well with our launch crews to develop a rescue mat that suited our specific needs and provided a solution for patient recovery in the extreme conditions they experience on the water. 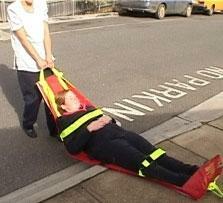 Our strategy is simple: To enable the safe, fast evacuation of frail or immobile people. 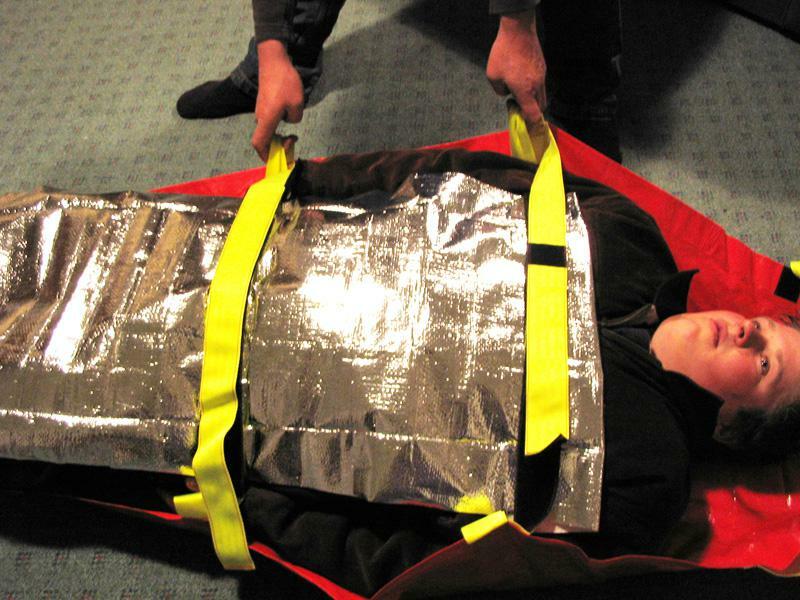 Thermal Blanket for patient comfort and safe restraint for 'panicky' patients or those who may try to remove themselves from the mat while in transit. It is stored in the foot pocket and can be unrolled over the patients' feet to cover their whole body and then they can be strapped in. You can still use the AlbacMat without using the thermal cover as the patients' feet will still rest in the foot pocket. 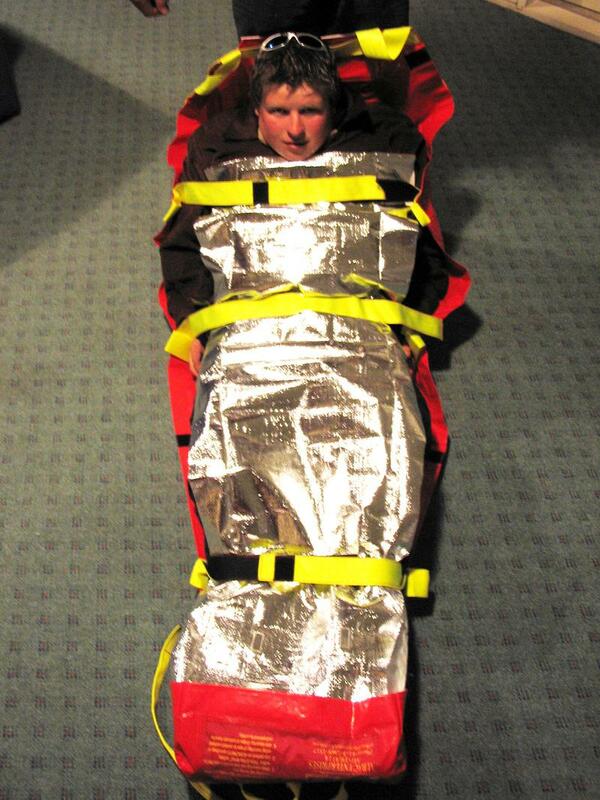 Larger design for specific use in emergency services and mining areas, but is also suitable where the AlbacMat Rescue Mat is used. Holds four AlbacMats underneath each other of either size for easy storage & quick access. 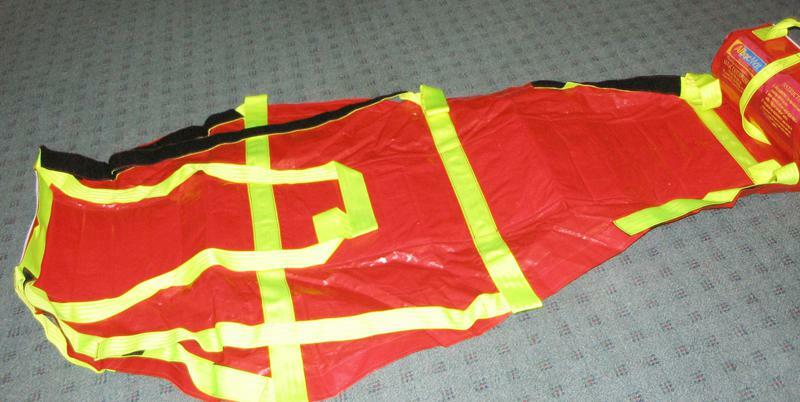 This can be carried to the emergency site where the four mats are ready to be used immediately.